the memory of those dogs we have loved and lost. Extremely powerful dog excelling in handling cattle. Natural cow dog. Lanky was a very powerful working dog. He had beautiful style, a natural outrun, an incredible work ethic and was totally fearless. He worked all types of stock including sheep, goats and cattle but excelled with cattle. He was fast and dedicated. He was a specialist with difficult situations and livestock. He was a handful to work, but could work independently to accomplish most any task. Lanky's even temperament and pleasant personality earned him a place in many hearts. Lanky's offspring are easy to handle, very intelligent and work with style and heart. Lanky got along well with children, adults and other dogs. 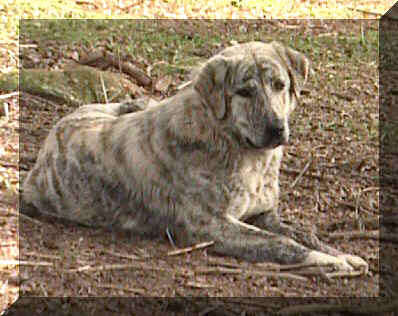 See the article about Lanky in the September 2002 issue of STOCKDOG Magazine. 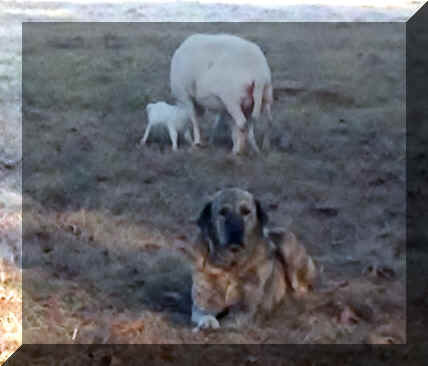 Extremely quiet working sheepdog with all natural moves. 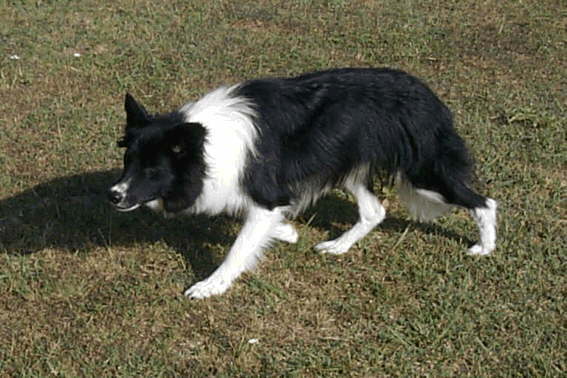 Snip was a super-talented working sheepdog. He was our right hand man in demonstrations and sheepdog trialing and the most talented natural sheepdog we had seen. 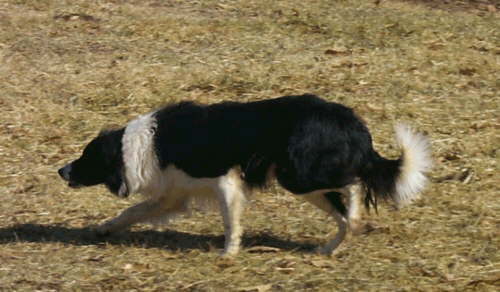 Snip was a beautiful, dedicated and skilled working sheepdog. Sweep was lost to a tragic accident and he will be greatly missed. Estimated Adult Size: 100 lbs & 30"